Many people don’t limit information sharing in their daily lives. They continue to constantly change doctors, dentists and create online accounts thus sharing even more information with third parties. The main problem with constant sharing of personal information is the fact that consumers lose control of their personal information protection. When we share our personal information or even the personal information of our family and friends with one more doctor, one more stranger we met at a bar, one more recruiter, or one more website, we spread our identity theft risk exposure and start giving away our identity protection responsibilities to someone else who might or might not care about the protection of someone else’s personal information which can lead to privacy disclosures and identity fraud. How many times have we heard of a hospital, bank or an insurance company losing the personal information of their customers! At times, we must share some personal information with third parties. Some situations are more critical that others as they may require us to share much more personal information that others. For example, when we visit a doctor’s office, we are asked for our social security number, name, date of birth, address, phone number, and an emergency contact information which by the way forces us to share the personal information of a friend or family member without their knowledge. Therefore, it’s very important to select and visit doctors carefully keeping in mind to limit information sharing by limiting the number of times we change doctors. Don’t ever assume that a small medical office can protect your identity. If the multi billion dollar companies can’t or won’t accomplish this task, the small medical offices are definitely not spending more money to protect your personal information by performing a background check on the assistant, providing employee training, and installing surveillance and monitoring devices. Other situations might be less critical from an information sharing and identity theft standpoint. For example, we might share our name and a phone number with a stranger we met at a bar or sign up for an online newsletter such as the one this web site offers by providing our email address to receive the newsletters. Most sites give you the option and don’t force you to provide your name for identification purposes. 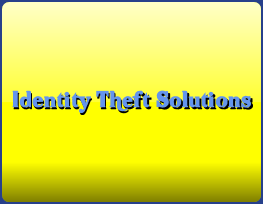 One important note to remember is that an identity theft scheme can be planned by collecting pieces of an identity and executed when all the necessary information becomes available. For example, someone’s phone number, email address or even the full name can be used to perform additional research and obtain more information. In short, limit information sharing with other people by carefully examining your needs, researching and selecting the target to receive the information and the information to be shared. Select your medical care providers carefully and don’t change them frequently. And when you have to share your personal information with someone else, make sure not only you limit information sharing, but also share in a private manner to deliver the information only to the intended individuals. Go to the identity theft prevention section for more articles after reading "limit information sharing".